Polished concrete floors are the ideal solution for contemporary living, having many benefits over other flooring choices. Our polished concrete floors are laid using a PANDOMO® compound. Once the compound has been applied, the floor is then treated with stone oil to give the surface a silky sheen finish that increases colour intensity, abrasion and water resistance. The nature of the polishing process means that the level of finish can be controlled by using different degrees of polishing and alternative sealants/oils. 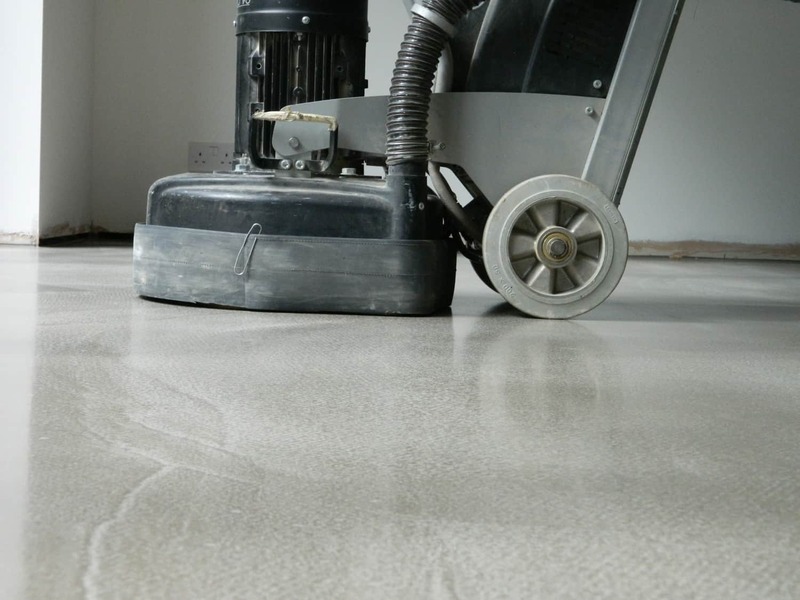 Are polished concrete floors easy to maintain? With no joins and no edges, polished concrete floors offer a seamless surface that is hygienic and easy to clean. 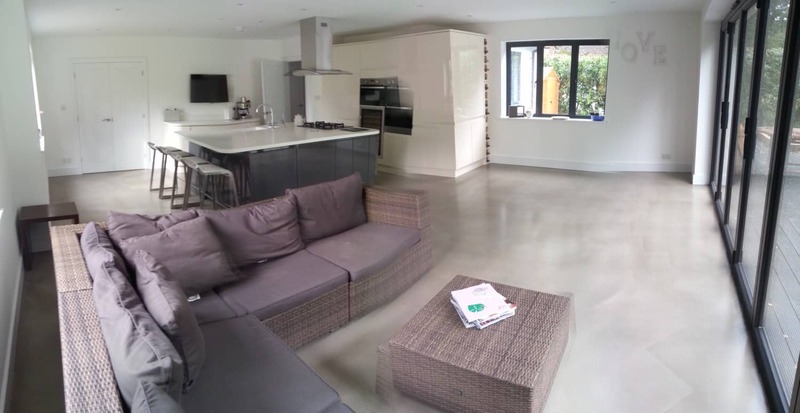 In general, polished concrete floors will require only occasional damp mopping, eliminating the need for messy waxes or coatings, as well as the associated labour, time and expense to apply them. During the polishing process an internal impregnating sealer is applied. This not only protects the concrete from the inside out, it also hardens and densifies the concrete, providing a sealed surface that won’t harbor dust, dirt or allergens. In fact they are a good alternative to carpet for people who have allergies. Are polished concrete floors durable? The superior strength and performance of concrete, means polished concrete floors are extremely durable. Originally developed for commercial and retail environments, polished concrete floors will effortlessly withstand the rigours of fast-paced family living. Although polished concrete floors are durable, The Pandomo floor system is designed to be a firm floor with similar properties and hardness to a parquet wooden floor. As with any floor installation, there is no guarantee against any scratches or indentations. Although polished concrete floors are hard wearing there is always a chance they will scratch so please take this into account when deciding whether or not polished concrete is for you. 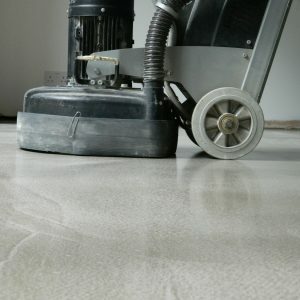 Are polished concrete floors easy to install? Polished concrete floors are easy to install. If you’re looking to enhance your existing flooring for a more architectural appearance and without major building work, an overlay is the perfect solution. There are several types of installation: existing concrete floor polishing, new concrete floor polishing and polished concrete overlays. Polished concrete floors offer great cost savings. Polished concrete is robust and durable and will therefore have an extremely long life expectancy compared to other flooring. Properly maintained, a polished concrete floor may give 100+ years of service. 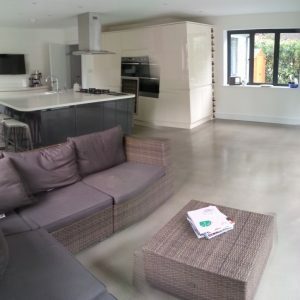 Please feel free to contact us about any queries you may have about polished concrete floors.